The problem with the current state of fitness is the sheer amount of available information. Yes, some of that information is good—you're reading it right now—but much of the information you can find on the Internet is written by some dumbbell jockey parroting something he heard a weekend-certified trainer preaching to his client. What makes all of this misinformation so toxic is that it has created a generation of people who think there are cheap tricks to making fast progress. Sure, there are some tips that can speed the process along, but the truth is that nothing but hard work will bring you results. If you try to take the easy way out or feel like you can "outsmart" your workout, the only thing you're going to get is a scrawny body and an overinflated ego. Your body's ability to grow muscle comes from one simple thing: the need for adaptation. Seriously, that's it. In order to produce a response (growth), we need to introduce a stimulus. Lifting weights is the stimulus that stresses the muscle and creates the need for adaptation. Seems simple enough, right? But here is where I get a little peeved at certain current fitness trends. The "muscle confusion" idea that "experts" keep trying to sell is actually really dumb. Your muscles aren't smart, so they really don't get confused. Your muscles can either lift something, or they can't; they can contract, or they can't. True, a host of other factors enter into this process, but at the very basic level, that's it. If you allow yourself to think of building muscle as a simple mechanism, you will have more success than if you dive too deeply into the minor intricacies of the contractile process. So, doing squats on a BOSU ball is not going to confuse your muscles and make them grow; in fact, exactly the opposite is going to happen. If you're concentrating on balancing, you're wasting valuable effort trying not to break your neck instead of moving heavier weight that will make your muscles grow. You may end up developing slightly better balance after a few weeks, but that's about all you'll see. Furthermore, there's a good chance you'll end up losing muscle. Train for what you want to achieve. If your goals include making it into Cirque de Soleil, then by all means, train balance. If you want huge legs and power, squat on a level, stable surface. If you're goal is to build muscle, basic exercises and heavy weights almost always produce the best results. It's also important that you understand the difference between training and exercising. A good training program is structured in a particular time frame—usually 8-12 weeks—with linear progression toward a goal. Exercise? Well, exercise is just getting sweaty. Remember the 6 P's: Proper Planning Prevents Piss-Poor Performance. If you want to perform at your best, you better have a plan to get it done. Forget about randomized workouts written on a white board. Get a real plan and do it without fail. My favorite way to program is to keep things really simple. If you want to be good at a particular lift, you need to do that lift. 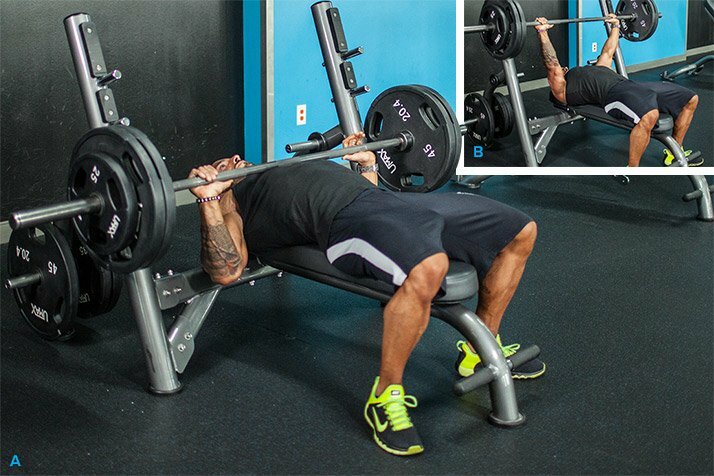 If you want to get good at the bench press, then bench press. 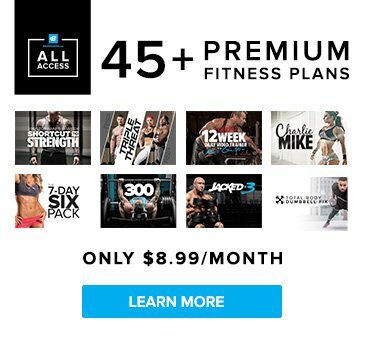 Don't waste time complicating your program with incline presses, decline presses, skullcrushers, dumbbell presses, or other exercise variations you think may improve your bench numbers. Although there is some merit to training particular muscle groups for weak points, it's much smarter to manipulate variables like load, sets, reps, and rest than it is to vary exercises themselves. Trust me, this simple method will probably serve you much better than a complicated one. Now, a program like this is a nice way to set things up initially, but things won't necessarily move forward perfectly in a linear fashion all the time. Reality might kick in around Week 3, and you may miss a lift in the third set. If that's the case, then you may have to reassess what you're doing and your progression. You may have to do less weight this week and try again next week. You may need to adjust another variable like the sets, reps, or rest time. As you become stronger and your goals become loftier, things will grow a little more complex, but this basic principle of progression will always stay the same. I suggest making small changes in the weights you lift every week. As little as two pounds is enough to create a need for adaptation without overstressing the body to the point where it cannot recover. You can apply the same idea to rest time between sets. Increasing or decreasing the rest time will drastically change your workout. Small steps lead to big results. Make your body adapt consistently, and you will consistently be rewarded with gains.